Inspirisys offerings to vendors and channel partners cover end-to-end logistics capabilities – starting from import, warehousing, and stock movement across geographies, to packing / repacking, order processing and delivery anywhere within its operating footprint. 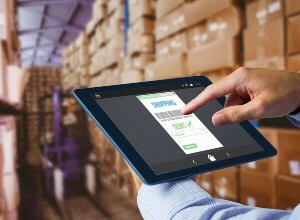 The warehouse is a central hub in the supply chain, where inventory is received from vendors and stored until its eventual distribution to consumers. Warehouse managers direct the team members to stock shelves, transfer inventory properly, and maintain accurate inventory levels. Also, the operation of a storeroom and all facets including ordering, receiving, processing, recording and distributing supplies and materials; preparing and maintaining detailed records and files. Meets warehouse financial standards by providing the annual budget information – monitoring expenditures, identifying variances, implementing corrective actions. Moves inventory by scheduling about ‘materials to be moved to and from warehouse; coordinating inventory transfers with related departments. Maintains storage area by organizing floor space; adhering to storage design principles; recommending improvements. Secures warehouse by turning alarms on; testing systems. Responsible for entire spare parts and accessories management. Identifying sources and negotiating pricing with distributors / suppliers for all spares and accessories – including fast moving as well as infrequent purchases. Support Inspirisys service advisors in parts price estimates and quotes, based on customer request. Support parts delivery to field service teams, through parts runners – based on the day-to-day requirements. Inspirisys has an expert team in the field of data recovery and storage solution. We have a strong backend technical team to do the advanced recovery. 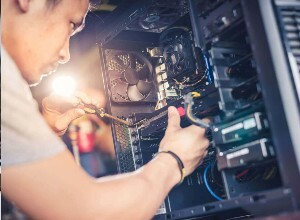 We provide the most sophisticated data recovery systems, the most competent technical engineers, and a top-of-the-line cleanroom – the most ideal dust-free environment for hardware data recovery. Our data recovery services cover all types of storage device, RAID, and operating system. All our Open Hard drive operations are done in a top-of-the-line cleanroom. We have served thousands of clients ranging from individuals, privately –owned businesses, to industry –leading corporations. 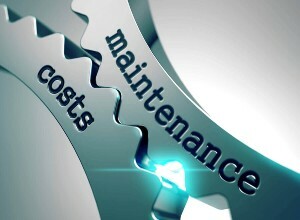 Inspirisys provides warranty extension packages for IT and Telecom Products. Extended warranty is a prolonged warranty offered to consumers, in addition to the standard warranty on new items. Extended warranties cost extra percentage of the item’s retail price. Occasionally, some extended warranties that are purchased for multiple years state in writing, the consumer must still deal with the manufacturer in the occurrence of malfunction- during the first year. Thus, what is often promoted as a two-year extended guarantee, for example, is actually only a one-year guarantee. But, Inspirisys extended warranty program is totally different. Warranty Management System (WMS) is an integrated system developed by Inspirisys, to manage its entire RMA business process with a configurable service network and process models (such as repair, replacement, repair/replacement, recycle repair, and credit refund, etc.) for multiple principal vendors – right from call registration to the delivery stage. 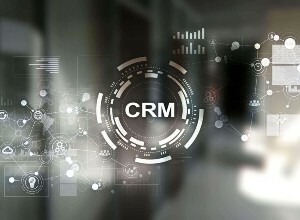 We ensure that our customized CRM software solution will meet all the requirements of our customers, by offering the highest level of services with 100% customer satisfaction. Inspirisys provides customers with supply chain network design and optimization solutions through selected third party logistics’ partners. 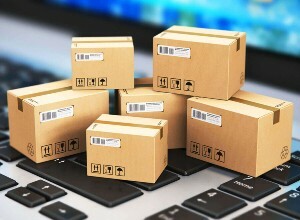 To ensure that, we bring seamless, optimized reverse logistics services as part of your after sales solution package, wherever you need it, we will design the best reverse logistics service to suit your needs and budget. We offer options – from direct collection and drop off at the customers’ home or business. The numerous choices and options we support ensure that we will always find the solutions that are best suited to your needs. We have developed a strong logistics partner network, enabling us to provide you with a wide range of service capabilities, including Pick-up and Drop-off (PUDO) options. Inspirisys provides a high level of integrity testing, repair, and refurbishment services for a wide range of customers covering a broad variety of electronic circuit boards, modules, and systems. Our repair operations are ISO certified and we ensure that all usable and unusable parts and materials are recycled or disposed properly. Inspirisys provides the full spectrum of functional repair capabilities – from software related issues to highly technical board repairs – that restore the device to a usable state in accordance to a defined functional repair standard. By providing an efficient, high quality repair service, Inspirisys helps provide your customers with a positive after sales support experience that can lead to increased loyalty to your brand. We can support your swap, demonstration, or rental service programs – with our electronic refurbishment service – that transform used products to an extremely high cosmetic or configuration standard. Our refurbishment service can increase the perceived value of your product and service as your customers receive a “like-new” product experience. Inspirisys has over 300 customer walk-in centers that manage service networks for both exclusive brands as well as for multi-brands. Each of these walk-in center houses is a unique mix of customer-walk-in zone, repair-facility, and most importantly a customer-friendly service team. Customer helpdesk to understand the need of our customers and offer best service solutions – be it the In-Warranty or Out-Of-Warranty services. Repair Lab to quickly offer Break fix / Repair solutions with L1 & L2 capability. Trade-in and Trade-out services for used products – to enable Customers / Brands to facilitate Buyback/Exchange of old devices. Accessories sales-zone to help customers to buy accessories and add-ons for their devices. Inventory and Parts Management team for quick repair and replacement. Inspirisys offers both shared as well as brand-exclusive carry-in service networks across the country. Product brands are offered with highly professional services that help serve its customers, which in turn boost the brand loyalty. Inspirisys provides RMA Services for various IT brands, with the below features and support. A single portal for technical support and service. You may assign more than one individual to request RMAs. You may request and receive RMAs – 24 x 7; no more waiting. You will receive automatic service center assignments based on your location, and specifically receive shipping instructions for that location. You may request multiple items, up to eight (8) on a single RMA number. You will be able to check the real-time status of every RMA, which is at one of our service centers. By using the serial number used in Principle Website. By validating the serial number against the warranty registration database with Inspirisys. If any of these checks are valid, a warranty RMA / Call Id will be created. (*) For few products, life time warranty. In today’s competitive environment, the cost and time required to hire, train, and retain on-site technical staff is really challenging. 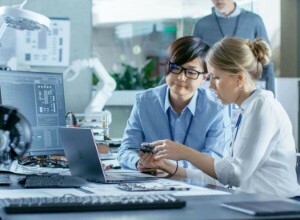 The challenge even gets tougher as new products get released to the market faster, and you need reliable technical personnel who can understand and fix the problems for customers. Inspirisys has one of the largest service support networks in the country to provide service support to our partners. Our service support centers cover more than 600+ locations in India, which makes us a “preferred national service partner” for OEMs and systems integrators. Inspirisys aims to become a leader in the service industry, by expanding our service network at the remotest location of India, through our partners. 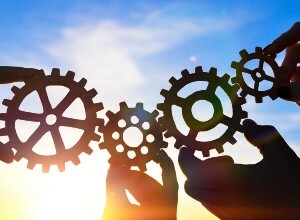 Inspirisys consistently surpasses benchmarks and comes up with innovative solutions so that we can place customer delight at the heart of our every business action – by understanding the customer needs, integrating information to evolve effective solutions, and by using available resources to deliver optimum solutions. Proper installation mitigates the risk of operational disruption that is often associated with large-scale installations, and is critical to the long-term performance of a printing and imaging device or system. Equipment and Design Manufacturers (OEMs & ODMs), as well as large end-users of printing & imaging products, Inspirisys ensures that the entire installation process is seamless, standardized, and in accordance with the defined service level agreement (SLA). Our annual maintenance services outline the ongoing upkeep and routine monitoring of printing & imaging products. Designed for both small and large end-users of printing & imaging equipment, Inspirisys’s comprehensive and non-comprehensive AMCs are the complete service bundles – offering integrated support and maintenance for single device users as well as for multi-product and multi-vendor environments. This allows customers to get the benefit and convenience of a unified service for their multi-brand equipment, with the added advantage of flexibility, cost-effectiveness, and superior service delivery. Inspirisys follows a ‘preventive maintenance approach’ and a systematic process of inspection, detection, and correction – to ensure that incipient failures are identified much before they develop into major faults and that the installed equipment is always in working mode. Our annual maintenance services are tailor-made to service every category of printing & imaging equipment users. As well as, these tailor-made services help to accommodate and fulfill stringent service-level-agreements (SLA) and turn-around-time (TAT) commitments – to minimize downtime; and in the long run, safeguard the customer against uncertainty and inconvenience. Presently, we provide consumables (Toner, Ink, Drums and Cartridges) at competitive rates to our clients. Send an email to us: support@inspirisys.com – with details of your requirements. Please note: We don’t sell “compatible” cartridges; our experience is that the use of original consumables is the best way to maintain print quality and printer reliability.